The Fiat Linea is here- It's supposed to be Fiat's Indian Operations' savior by all means. If the Linea and Grande Punto end up selling like the Palio, Fiat's Ranjangoan plant will be used merely as a secondary Tata plant to produce the Indigo and probably the Tata Indicruz along with millions of Multijet engines for export. How dreadful will that be if you were a Fiat fan. The Fiat Grande Punto arrived just in time to save Fiat from biting the dust. It's a fine example of the modern Fiat. The styling, performance, design, presence all of them point to one thing- Fiat is here to stay. 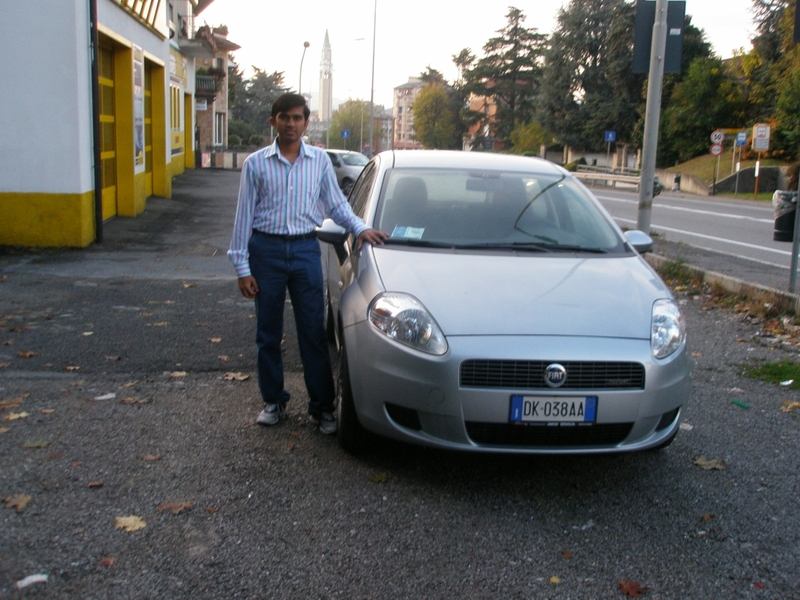 The Grande Punto will meet Indians later in 2009. For those who don't know, the Linea is to the Grande Punto, what the Indigo is to the Indica. Donald Lopes works for the acclaimed Brembo in Italy. He's a mechanical engineer who occupies a high position in the company which manufactures high performance brakes for application on supercars and Formula 1 cars. He came to us with this review last year, but we decided the best time to put it in was shortly after the Linea's Indian launch. So it's all Donald and his Fiat. Listen to what he says. 1) When did your passion for cars begin? I have always been interested in cars and bikes and that’s the reason I opted to go for mechanical engineering .Even today, I am working for a company which makes disc brakes exclusively for supercar OEMS like Ferrari, Porsche, Lamborghini, Alfa Romeo etc. So my life always revolves around these man-made beauties. 2) When did you buy your GP and does he/she have a name? 3) Is it 1st hand or second hand? 4) Where did you take it for the first time,? I mean after you bought it. There’s an interesting anecdote behind it. I had just arrived in Italy and didn’t know much about the driving conditions here and so also the fact that vehicles are driven on right side of the road, made matters even more complicated for me to start driving. (Italians are known to be rash drivers who are always in hurry for no apparent reason). Also I hadn’t driven much in India too. One of my colleagues who knew only Italian language asked me to come with him without telling where we were going. When we reached our destination I realized that we were in a Fiat showroom. I had no option but to drive up to home with my new Grande Punto. I had to drive on Italian highways with a left-hand drive car . It was a memorable journey but scared the heck out of me on many occasions. 5) How many kms have you clocked in it so far? Till now I have done only approx. 5000 kms on my car. But in the last one year, I have driven more than 15,000kms with Fiat cars having the same famed Multi-jet engine with absolutely no problems in any journey. 6) Tell me about the maintenance part of it. How much you shell out and how frequently? Where do you get it serviced? 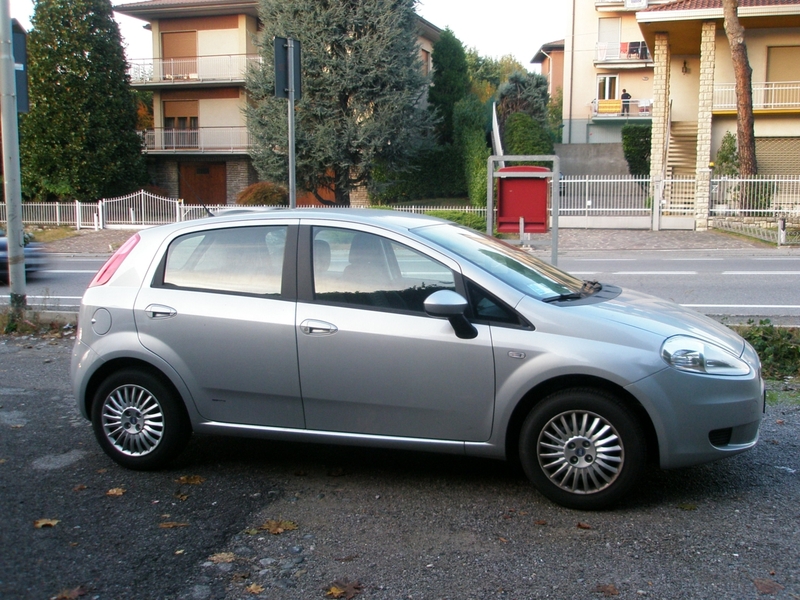 Grande Punto is known to be maintenance-free car. Till now I have only done one oil change and first service. It has not given any problem in last one year. Many of my friends own Grande Punto and I have heard for them that it needs almost zero maintenance other than the regular services. Fiat has very extensive service network here and you can find a Fiat showroom virtually in every village. So got my car serviced in a nearby Fiat authorized service station. 7) What is the fastest you have gone on it? The max. I have gone is 155kmph. It could have gone more but car was not on full throttle and the fines for crossing the speed limits are excessively high here. 8) What is the max distance you have covered in it? The max. I have gone in one journey is 350 kms. But the engine is very well suited for very long journeys as I have made a journey of apporx. 1100 kms with my friend’s Fiat Stilo having a Fiat multijet engine. The car is very rugged. It has 2 front Air bags and also ABS. Also the very important fact is that the Grande Punto achieved a five-star rating (best possible) for occupant protection in the European New Car Assessment Programme (Euro NCAP). The cost of my car was around €14,000 ( approx Rs. 8.5 lacs). But you have to note that FIAT brand is considered to be a comparatively more prestigious brand in Europe and so Fiat can charge a premium for its vehicles. But most Indians have a different image about Fiat (from the ubiquitous Premier Padmini) . So Fiat will price it far lower in India (in the price range of Swift). 11) Any modifications you have done on the car? 12) Some of the other similar cars you have driven and how they compare. Till now I have driven Hyundai i10, Indica, Fiat Stilo, Fiat Punto (old version) and Fiat Bravo 6 speed. 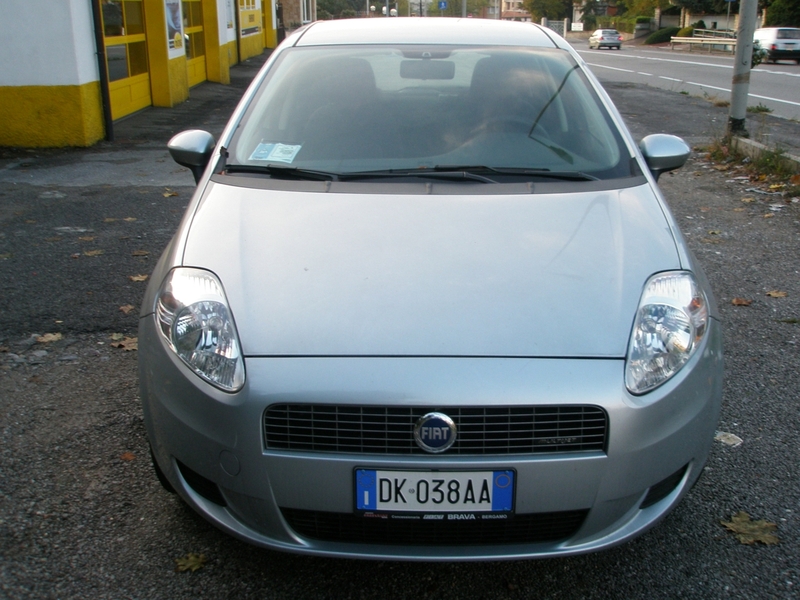 I find Grande Punto a very stable car with awesome drivability. Of all the cars I have driven, Hyundai i10 and Grande Punto fall in the same league. I love my i10’s interiors but except for the steering feel of i10, I love Grande Punto’s all other aspects. Grande Punto is far more spacey with a better driving position. Grande Punto gives you an impression of driving a big car. It also has a huge boot as compared to the i10. 13) How many kilometers you drive everyday? My daily use is approx. 10 kms per day and I use the car on all weekdays. On weekends I use it for some short trips around the town. 14) Your point of view on bringing GP to India. It is a really great move by Fiat. It’s a very practical and frills-free car giving an awesome fuel efficiency. And that’s what we Indians look for in B-segment cars. If marketed well, Grande Punto can do very well in India. It’s a diesel car and I use normal diesel. In India, my first car was a Maruti 800 and now I own a Hyundai i10 (Magna) in India. Maruti 800 is a not match for Grande Punto. But I do keep on comparing my i10 with my Grande Punto and always feel that Grande Punto is far better in all the respects except for interiors. 17) One thing you like and one thing you hate about the car. 18) What are the problems you have faced with the car. I have faced absolutely no problems with my car till now. I am thoroughly happy with my car. IAB Comment- Donald, we thank you so much for this review. I know so many Indians are going to benefit from this little effort of yours. The high quality pictures is another treat to the troubled Indian Fiat fan whose day we hope, is a little more exciting after this. We've kept you waiting for so long with little or no updates, but frankly speaking, we had no other alternative man. Donald's a happy GP owner and he's going to stay that way throughout the time he owns this beauty. Can we say the same thing with Indian GP owners later this year? We'll have to wait to answer that question. P.S- If you have any questions for Donald Lopes, fill it up in the comments box below. We'll try and get Donald to answer them for you. Fiat Launches Grande Punto 1.3 Multijet in Argentina; India launch moments away!